Application to Convert OLM to PST File – Engineered in the company of aptness! Convert OLM to PST file with our peerless Outlook Mac Exporter that is an affordable, performance-oriented and simplest solution to migrate Mac Mail to Windows Outlook! There are various reasonable reasons that compel users to migrate from Macintosh to Windows Operating System which is ultimately followed by the need to change Outlook 2011 for Mac to Outlook for PC 97-2016. Less Software Compatible to Mac: Software programs helps to make computing experience better. For Mac users, there is not much choice available which acts as its drawback in comparison to Windows. Upgrading Mac Is Not Possible: Unlike Windows, you do not have any choice of components expandability or addition of new hardware which consequently makes Mac a less flexible option. Mac is Massively Overpriced: With no doubt to the fact that Macintosh's lowest model is out of the range of a normal person, it becomes a positive point for Windows which is accessible to users of every class. Windows are Best for Workplaces: In most of the workplaces, Windows are used because of its simplicity factor and complexity of Mac makes it less deployed. Mac is Not for Gamers: Games are one of the popular things to do on computers but unfortunately the world of gamers cannot roam around Mac. For gaming, Windows is more suitable option. Mac is Not Crash-Proof: If you think Mac are unstable and do not crash, then believe us, it is not true. In comparison to Mac, Windows is stable option. Windows is for Students to Businessmen: No matter if you are a kid, a student or an administrator, you can use Windows whereas operating Mac demands high technical knowledge. 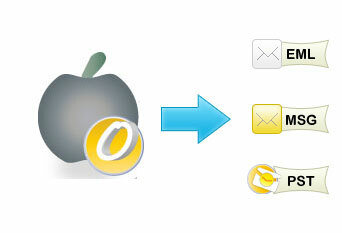 Offer profit for Mac Mail to Windows Outlook (ANY EDITION) on Windows 8. You can opt for our free utility to view Outlook 2011 OLM files on Windows. With our completely free OLM Viewer software, you get the opportunity to have a view at email items of Mac Outlook and to transfer files of Mac OS platforms on Window OS (PST, EML and MSG) format, purchase licensed version of Application to Convert OLM to PST at same instance.